Nokia's Windows RT tablet cover to include the battery pack? Last week, we told you about the speculation building that Nokia is preparing a 10 inch Windows RT tablet to be introduced at MWC 2013. Some more information about the tablet has leaked including the size of the display (10.1 inches, as expected), the cellular connectivity that will come with the tablet (AT&T will be among the first to offer the device), and the cover of the tablet which adds a QWERTY keyboard and a kickstand for the unit. The exciting thing about Nokia's cover is that it will be embedded with a battery pack. This will not only allow the tablet's internal battery to recharge, but will also provide extra power for users of the slate on the go. The cover, which apparently covers the tablet "like a book," will click into place. The internal battery on the model is supposed to offer 10 hours of use and has fast recharging capabilities that quickly recharge the cell to 50%. Those with knowledge of Nokia's plans say that the Finnish based firm will build a limited number of Windows RT tablets with the goal in mind to eventually offer the device with Windows 8. 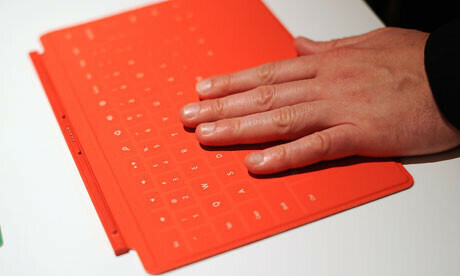 And these sources confirm Nokia's intention to show off the tablet in Barcelona at MWC 2013 in February. hmmm.... not interested so where is more info on this "X Phone" aka the neXus? hmmm.... yeah right so you are looking for an "X Phone" then clicked on an Nokia Win RT article and commented. So much win... Definitely rivals the Surface for raw appeal, more so than any other tablet (only tablet, not convertible laptop) yet to come out. yeaaaaaah!!!! 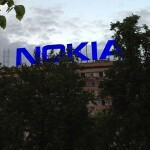 nokia to the world and for the world.. This is good news about Nokia. They are always great when it comes to build quality. Wish them good luck in 2013. This is awesome! I can't wait for this... I love the idea of incorporating the click-on type/touch cover - it's just like the Surface but with a much cleaner and more durable design... Include the PureView Camera and this will be one killer tablet! I am hoping Nokia venture enters the X86 market for Tablets. I need a Windows 8 Pro tablet. Come on Nokia build a Lumia Tablet already! !